Foreclosures, Short Sales or REOs: Which Is More Profitable? Foreclosures, short sales, and REOs remind us of, "Lions and tigers and bears, oh, my!" There are similarities. Lions and tigers and bears are fierce animals, but different from each other—just as foreclosures and short sales and real-estate-owned (REO) are distressed sales but different from each other. However, without specialized knowledge about how to handle the purchase of a foreclosure, short sale or REO, you could find yourself in dangerous territory. For example, while many short sales are foreclosures, not all foreclosures are short sales and not every short sale is in foreclosure. To further complicate matters, REOs are not short sales either, but some intended short sales can end up as an REO. A foreclosure property is a home in foreclosure—when a notice of default has been filed in the public records. It means the owner has stopped making mortgage payments and the lender has given notice that unless the payments are brought up to date, it will sell the property to the highest bidder. Lenders can foreclose for other reasons, but the most common reason lenders file a notice of default is when a borrower is at least two payments in arrears. If the homeowner does not bring the loan current, the lender will take the property away from the owner. The final step the lender takes after a certain period has passed is to try to auction the property at a public sale. 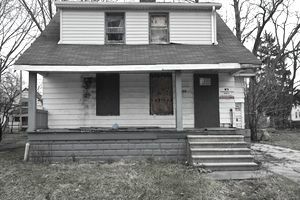 Not all homes that fall into foreclosure go to public sale because owners have the right to make up back payments up to a point, the timing of which varies from state to state. Real estate investors and home buyers see profit in buying foreclosures because they can often buy the property for the amount owed, picking up the home owner's equity for free. The home qualifies as the seller's personal residence. The property is a single family home or 2 to 4 units. A Notice of Default has been filed in the public records against the property. The investor buyer will not occupy the property. However, if any of those four statements were false, an agent in California would be allowed to represent buyers, especially if the buyer was going to occupy the home. To represent an investor, CA law requires that a real estate agent post a bond. No such bond is available in the state of California. Therefore, as a pre-foreclosure investor in California, many buyers were forced to act on their own. A California court ruled in 2007 that the bond requirement was unenforceable. The California Association of Realtors then made available a special package of forms that agents can use to represent investors. Realize, as an investor, you are required to comply with the Home Equity Sales Act. Among other requirements, sellers who are in foreclosure have the right to rescind (cancel) a transaction within five days. Investors must give the seller notice of that right, including a copy of the form that will let sellers cancel. Failure to comply with the Home Equity Sales Act carries severe penalties, including a provision that gives the seller the right to cancel the sale up to two years after the sale to the investor has closed and get the property back. As an investor, before you decide to buy a home in foreclosure by making up the back payments to the lender, giving the seller a few dollars and recording a deed, call a real estate lawyer. A short sale occurs when a homeowner is in foreclosure but before the property goes to public auction. Under a short sale, a lender must agree to accept less than the amount that is owed on the property. Unlike a foreclosure, investors typically buy the home for even less because investors are not paying off the existing loan nor making up the back payments. Investors are striking a deal with the existing lender to take less than what the lender has coming to avoid dealing with a foreclosure. It's a myth that lenders are not going to make a deal with an investor unless the seller has fallen behind on the seller's obligation to make timely mortgage payments. Sellers don't need to be in default for a short sale to occur. For a buyer who wants to occupy the home, buying a short sale makes financial sense. The property was acquired by the lender through a foreclosure action. Often lenders will sell repossessed homes for less than the past loan balance. Bank-owned properties are called REOs, which stands for Real Estate Owned by the lender. Banks end up owning the property when nobody at the public auction bid enough to cover the amount owed against the property. REO homes are often considered the best way to buy a distressed property because the seller is already out of the picture. It's just the investor, the investor's agent, the bank and the bank's agent who are negotiating the transaction. Some REOs can be purchased directly from the lender. For more information, seek the advice of a real estate lawyer. What Do Sellers Owe the IRS After Foreclosures and Short Sales? Can the Bank Try to Collect Money From You After a Foreclosure? Are There Advantages to Choosing a Short Sale Over a Foreclosure?